← Day 87: Doors Open Toronto. 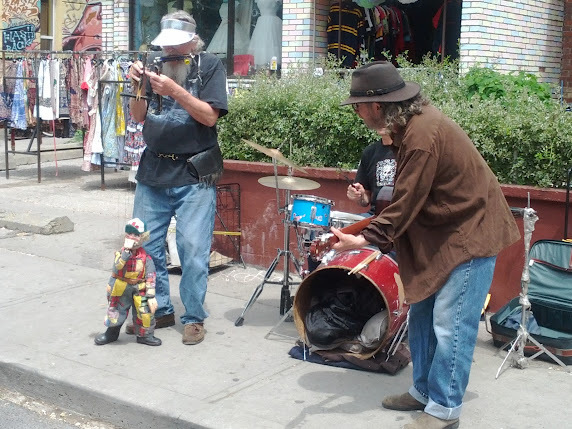 Day 88: Pedestrian Sundays in Kensington Market. I’ve got the whole world in my…chair? Ah, the auspicious day eighty-eight has finally arrived. How fitting that it took me into Kensington Market for Pedestrian Sundays, just a stone’s throw away from the superstitious mecca that is Chinatown. 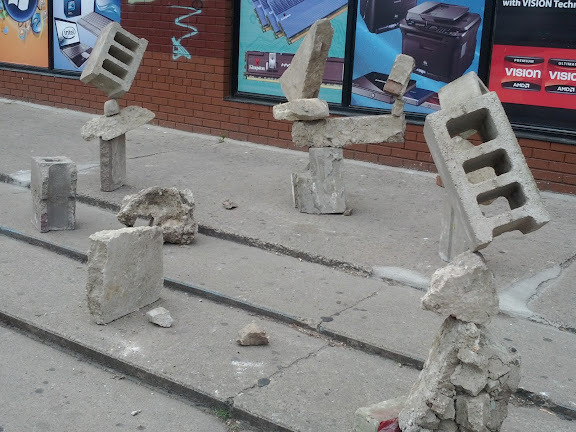 If you are new to the area, then let me introduce you to quite possibly the quirkiest neighbourhood in all of Toronto. 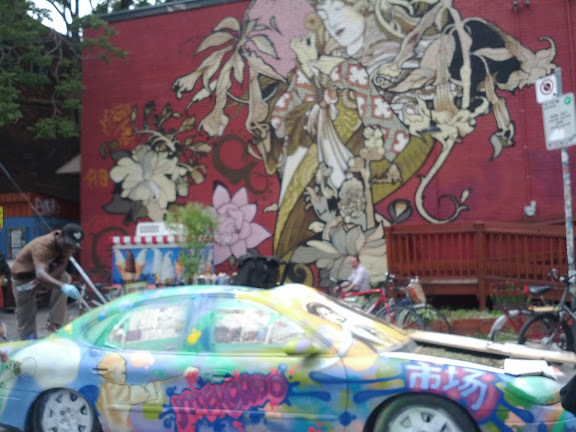 Kensington Market is a long-time favourite amongst tourists and locals alike. It’s not trying to be too hip, or funky. It just is – and we’re so okay with that. The first time I was introduced to the ‘hood was on a middle school field trip. At the time, it was much more shabby than chic, which, for a thirteen year old, was like following Alice down the rabbit hole. So many, many shiny objects that were surprisingly affordable, and on a meagre allowance – paradise found! Since then, the area has become somewhat gentrified (you may remember my definition of this word from a previous post), while it has managed to maintain its artsy charm. It is in this incarnation that, for the past nine years and for just a handful of Sundays every summer, the entire vicinity is transformed into a virtual block party, with street vendors, buskers and food stalls augmenting the already jubilant environment. What luck to finally be in town to enjoy such a magical day! The little guy’s name is Krazy. You can call him Kray for short. I started at its north end, and meandered my way through the adjoining streets. Right off the bat, I came across some of the more interesting and larger artistic displays on offer, including: the guy who usually tries to balance stones at The Beach using random pieces of brick, perhaps to mix it up; a giant spray-painting of an alien on the side of the Electric Theatre building, with a live air brushing demo out front; and a car that is losing the battle of the weeds growing on its colourful hood. Yep, Kensington’s still as wacky as ever, and I love it! Beyond that, I stopped for my mandatory cheese empanada at Jumbo Empanadas. I mean, you build up quite an appetite aimlessly wandering through all the neighbourhood’s hot spots, like Blue Banana Market (which is a destination unto itself), and watching the street performers, like the mountie on stilts, the people giving out free hugs, and in this heat – what’s a girl to do? Plus, it always comes with a little cup of their perfect salsa, and their thirst-quenching guava juice kept me smiling long after the queso was but a vague, delicious taste sensation in my mouth… Ah, the memories! 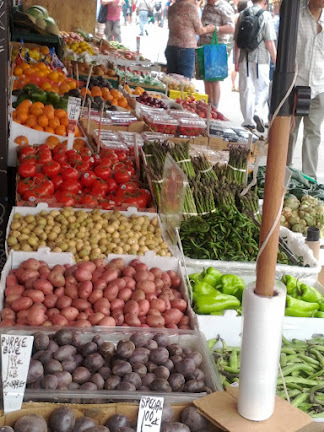 Of course, there were still the usual gorgeous offerings of fruit and veggies on hand, across from Cheese Magic and around the corner from Global Cheese, which, by the way, is how I tend to give directions, because everybody knows where they sell happiness. 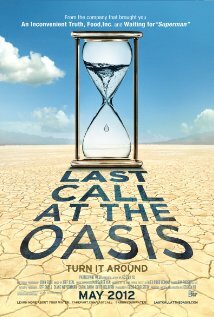 I finished up the day by catching the 3:30 pm showing of the documentary “Last Call at the Oasis” at the Bloor Street Hot Docs Cinema. Erin Brockovich is back once again to save the world, valiantly trying to knock some sense into the masses about the fresh water crisis we are already in, unbeknownst to many. Ah well. 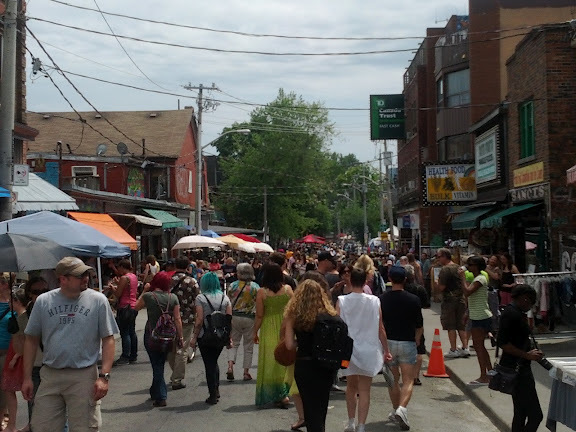 Back in the land of cheese-filled empanada bliss, the next two dates for Pedestrian Sundays in Kensington Market are July 29th and September 30th, so mark your calendars, and save me a front row seat for all the crazy! 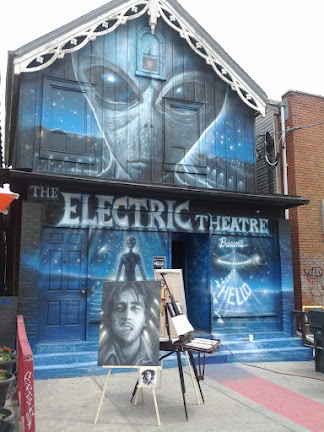 This entry was posted in Educational, Summer and tagged Bloor Cinema, Blue Banana Market, Educational, Kensington Market, Last Call at the Oasis, May, Pedestrian Sundays, Summer, Toronto. Bookmark the permalink.